With a long and successful history of developing and advancing new technology, Elonex is committed to building brands and propelling brand messages through high-impact digital communication. The Elonex network includes large format roadside digital advertising billboards situated on the busiest transport routes in the Midlands, including Europe’s largest roadside LED screen close to the M6/M5 interchange, and boasts countless digital screens at major entertainment venues and in city centres. CitySigns is based at the 2,700 square feet premises at Ball Mill Top Business Park – home of the latest print technology. 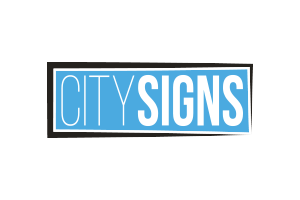 CitySigns provides bespoke signage, digital printing and vinyl graphics. Ongoing growth and the introduction of new technology has prompted CitySigns to move several times in its history and, in 2010, the company took over a two storey unit at Ball Mill Top. Its headquarters boasts state-of-the-art printing equipment, a showroom, two digital print rooms, design studios, a clean application area and space to bring vehicles inside so there is never a delay due to weather. In 2011, CitySigns invested £85,000 on a brand new state of the art flat bed UV printer – the first of its type in the UK. David Lloyd in Worcester is a stunning 5,600 square metre development with extensive indoor and outdoor tennis facilities, indoor and outdoor heated swimming pools, a fitness area and a dedicated zone for children's activities. With three indoor and five outdoor tennis courts, David Lloyd Worcester offers families some of the best tennis facilities in the region. The swimming facilities will comprise a 25 metre indoor pool and a 20 metre outdoor pool, offering a range of activities including aqua aerobics, family swim times and quiet adult swim sessions. A key feature of the club is the 900 square metre gymnasium, which has the very latest fitness equipment, including an extensive range of assisted resistance and cardiovascular equipment, free weights and Power Plates. Design Religion became Warriors' official Brand and Creative Partner in the summer of 2013. Based in Worcester, Design Religion has been building successful brands for over 14 years, specialising on giving brands a voice, a personality, and the tools to help them communicate with clarity and engage their audiences. Along the way they've deliver results for local and national names such as Aston Martin Racing, Force India Formula One, Subaru World Rally Team, Martini, Horiba MIRA, The Camping & Caravanning Club, Gerflor, McMinn Developments, Matthews Construction, HANBAO, Droitwich Salt and PISTION Gin Distillery. Physique Management, formed in 1998, is a leading supplier of sports injury, sports massage, complementary & holistic therapy and exercise & rehab products. Using advice and guidance from the very best sports healthcare professionals worldwide, Physique specialises in providing exceptional quality products for use in sports injury treatments, massage, rehabilitation, holistic, complementary and training and education workshops. Physique is a major supplier of sports injury products, including taping and bandaging to therapists who work in professional football, rugby, athletics, hockey and many other sports throughout Europe. World Class Worcestershire celebrates Worcestershire and shares the county's successes. World Class Worcestershire raises the profile of the county that we love. Worcestershire is a beautiful county with innovation at its heart. The county is home to a cluster of technology businesses with international acclaim, some of the country's leading innovators in horticulture and agri-tech, as well as a strong automotive supply chain and manufacturing base in the county. Wenlock Spring is just as nature intended; the water is naturally filtered as it emerges through the geologically famous Wenlock Edge, providing refreshing water with a unique blend of minerals and a delicately sweet taste. The Wenlock spring has been in constant use since the eleventh century and still supplies an ancient manor house which belonged to Wenlock Priory at the time of Domesday. Water is the essence of life so include Wenlock Spring as part of your lifestyle at work, home and play. OPRO is the largest manufacturers of mouthguards in the world and its UK-based headquarters produces thousands of mouthguards each day for schools, colleges, clubs and individuals worldwide. In 2007 OPRO was proud to receive the Queen’s Award for Innovation in recognition of its ground-breaking work in improving children’s and sports players’ oral protection. Over the years OPRO has added to the range of products it offers. Take a look around its website and you will see for yourself that OPRO no longer just makes mouthguards! 0Nicol & Co has joined Warriors as official supplier status. The new status sees the successful Estate Agents delivering support to Warriors staff and players. Having also secured hospitality places and another Match Sponsorship package for the clash against Exeter Chiefs, you’ll be seeing plenty of them. Nicol & Co Estate Agents is an independent estate agency selling and letting properties throughout Worcestershire with two offices in prime locations both in Droitwich Spa and Barbourne in Worcester. The company offers a refreshing and proactive approach to estate agency, with clients as the number one priority. Nicol & Co provides advice, guidance and an insight into the current market, based upon wide-ranging experience in the local industry. Thatchers Cider entered into a partnership with Warriors in 2016. The cider company has been making cider as a family business for over 100 years. Thatchers Cider will be the sole provider of draft cider to the Club. Sovereign specialises in the supply of office products, print, furniture and computer consumables. 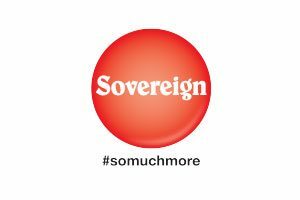 As well as a full catalogue of 20,000 products available for next day delivery, Sovereign also has easy access to over 160,000 products from manufacturers in Europe and across the world. With the support of Europe’s largest wholesaler, Sovereign is able to take advantage of global sourcing of products, which enables it to maximise cost-savings and give the widest choice of quality products to meet the needs of customers.